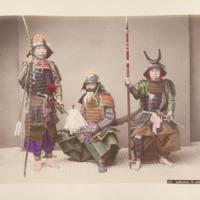 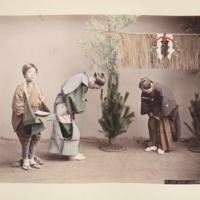 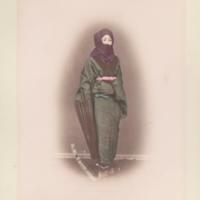 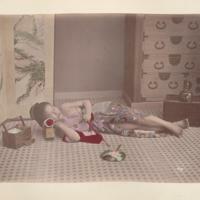 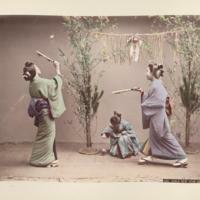 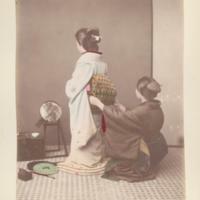 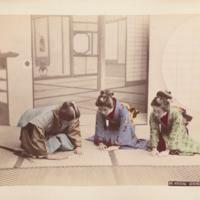 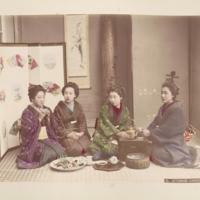 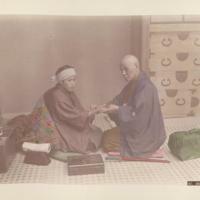 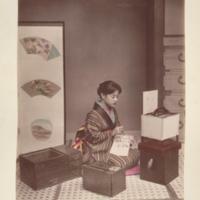 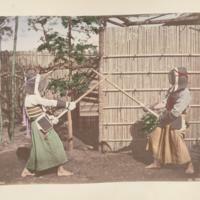 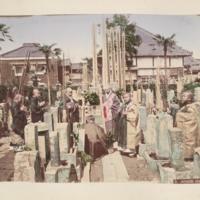 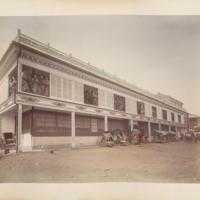 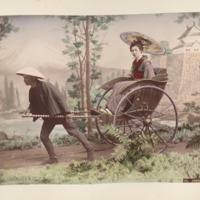 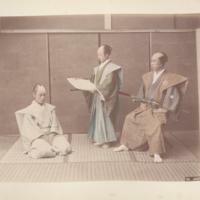 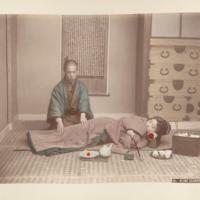 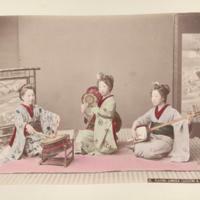 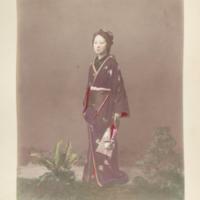 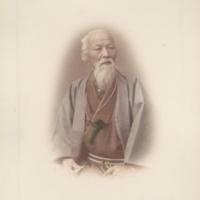 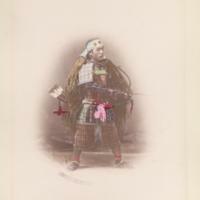 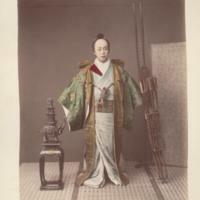 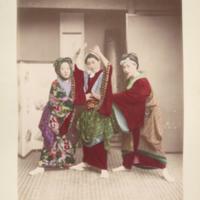 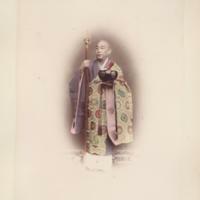 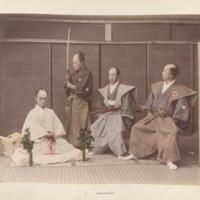 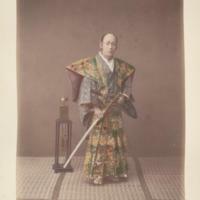 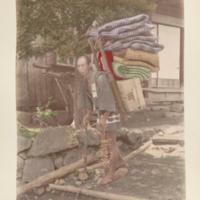 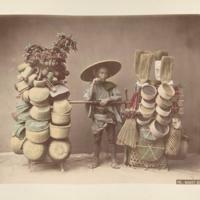 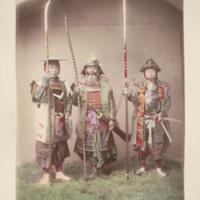 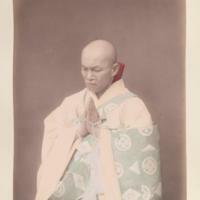 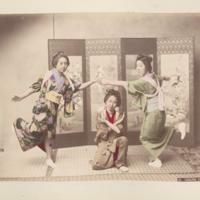 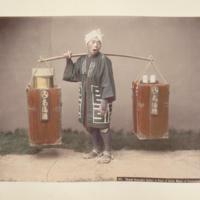 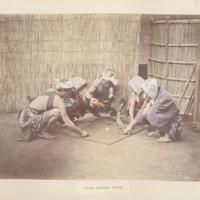 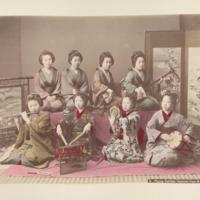 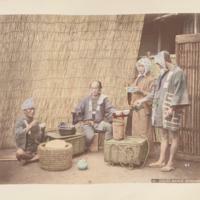 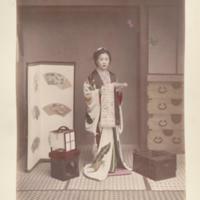 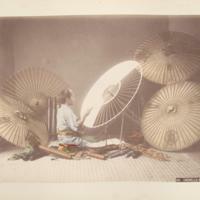 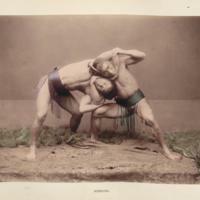 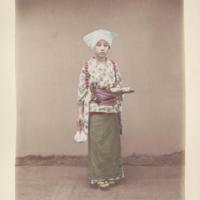 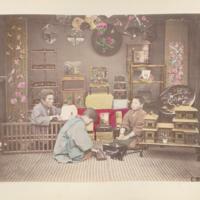 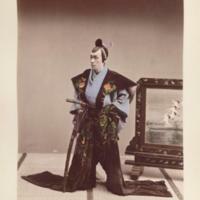 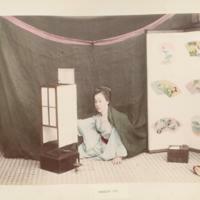 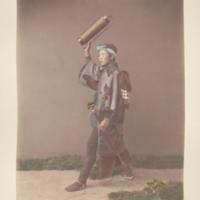 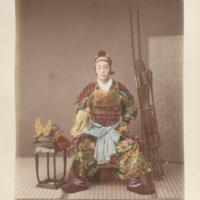 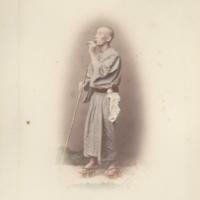 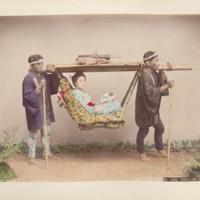 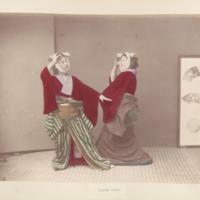 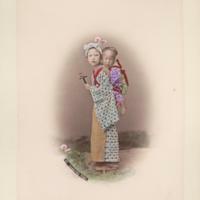 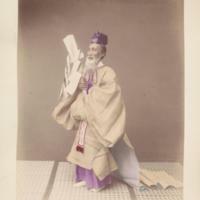 A selection of hand-tinted albumen photographs produced for the tourist trade in Japan in the late 19th century. 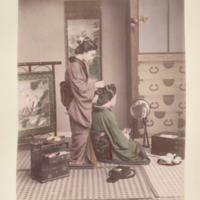 These photographs are taken from four bound albums with lacquered covers featuring individual designs. 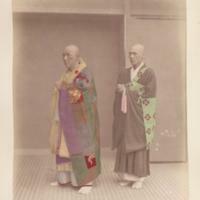 The images show Japanese scenic views, gardens, traditions and everyday life, including ceremonies, priests, samurais, actors, people of various professions, unnamed persons, dancers, rituals like hara-kiri and examples of costumes.